(Lot of 29) Heavy Duty Sanitary Tri Clamp 304 Stainless Steel .75” to 3” I.D. . New Life Scientific, Inc. 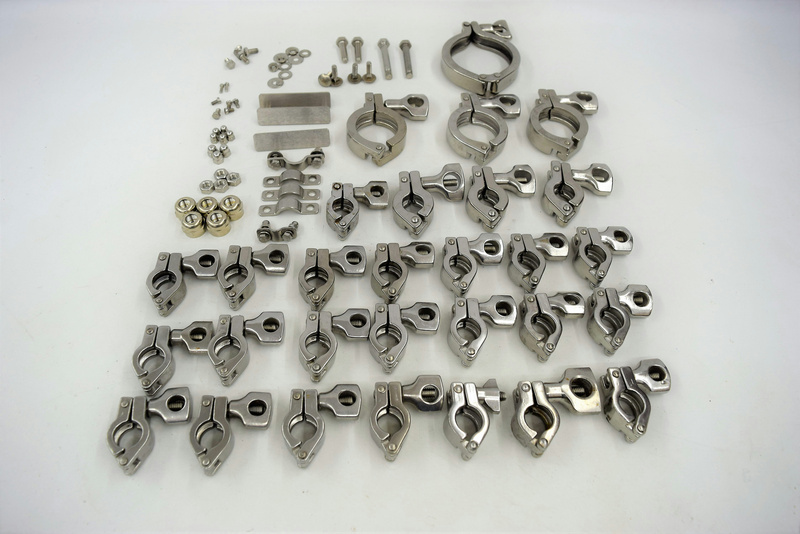 Heavy Duty 304 Stainless Steel Sanitary Tri Clamps that meet chemical & physical properties.